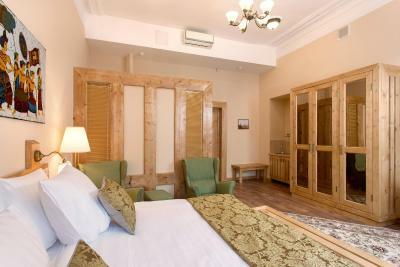 Lock in a great price for Hotel Maroseyka 2/15 – rated 9.1 by recent guests! It's a great location, right next to a central metro station. The room size and the bathroom size were pretty generous. Having a safe, a phone and a fridge in the room was helpful. Air conditioning works very well. The bed was comfortable. The staff was very courteous and helpful. Staff was very friendly and location was perfect. Hotel building is just side of the subway. 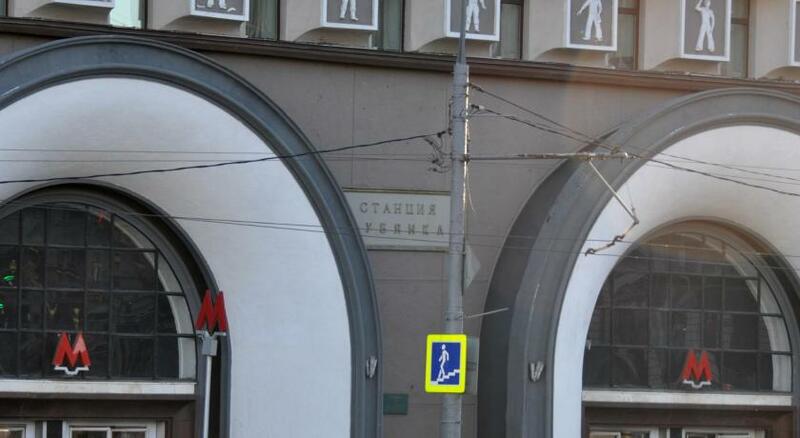 Perfect location, easy walk to the Red Square. Staff really helpful and nice - they printed the tickets I needed for further travel and I could store my bags when exploring the city without any problem. The rooms are super cute, I loved the wood - it gave the room awesome atmosphere. Lots of restaurants around! Amazing location, nice, helpful and professional staff! Thank you! I'm a lawyer in my 50s from the Midwest who enjoys international travel and is fine with 3 star hotels. I had never been to Moscow before, so I was not sure what to expect, but this hotel was perfect for my adult son and me (we stayed three nights). First, the location is amazing. 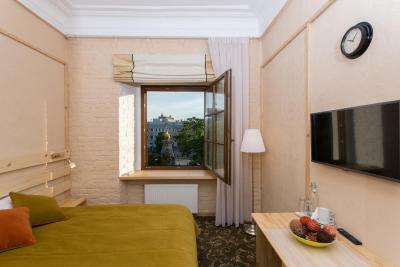 It's an easy 5-10 minute walk to Red Square and convenient to all of downtown Moscow. There is also a Metro station literally next door. My son and I road the Metro daily. Second, the room itself was comfortable. The twin beds were good and clean. We were on the first floor and had a 20-foot ceiling. The bathroom was clean and modern. The window faced a courtyard, so no view of anything except the Papa John's Pizza on the other side! The windows had room darkening curtains which allowed us to sleep in a bit. The AC was modern and quiet and kept the room cool even though it was 84 F one day. Simple, but efficient and clean room. Nice to have bottled water in the room. Didn't hear any noise from adjacent rooms. Staff was very friendly. Young, and English speaking. Excellent neighborhood. 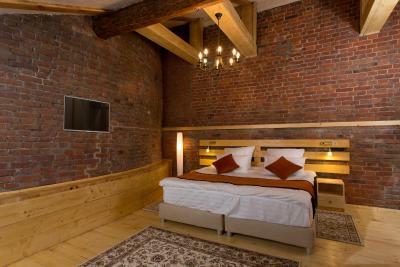 Right next to the Kitay-Gorod metro station and a 10 minute walk to the Red Square and Kremlin. Many nice breakfast places nearby. Very friendly staff. English speaking. Room was clean and spacious. Very next to the Kitay-Gorod metro station which connects many attractions and the airport as well. Perfect location, near bars, cafes, restaurants, exchange offices, shops and most important just a few minutes walk from Red Square. Very clean rooms, fresh towels and complementary water every day. Hotel Maroseyka 2/15 This rating is a reflection of how the property compares to the industry standard when it comes to price, facilities and services available. It's based on a self-evaluation by the property. Use this rating to help choose your stay! One of our top picks in Moscow.Hotel Maroseyka 2/15 is located in central Moscow, 2,300 feet from Saint Basil's Cathedral. Kitay Gorod Metro Station is 50 feet away. The rooms have a private bathroom. For your comfort, you will find slippers and free toiletries. A TV is available. 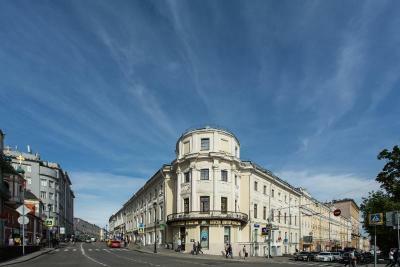 GUM Department Store is 2,300 feet from Hotel Maroseyka 2/15, while Red Square is 2,650 feet away. Sheremetyevo Airport is 17 mi from the property. Basmanny is a great choice for travelers interested in walking, architecture and city walks. 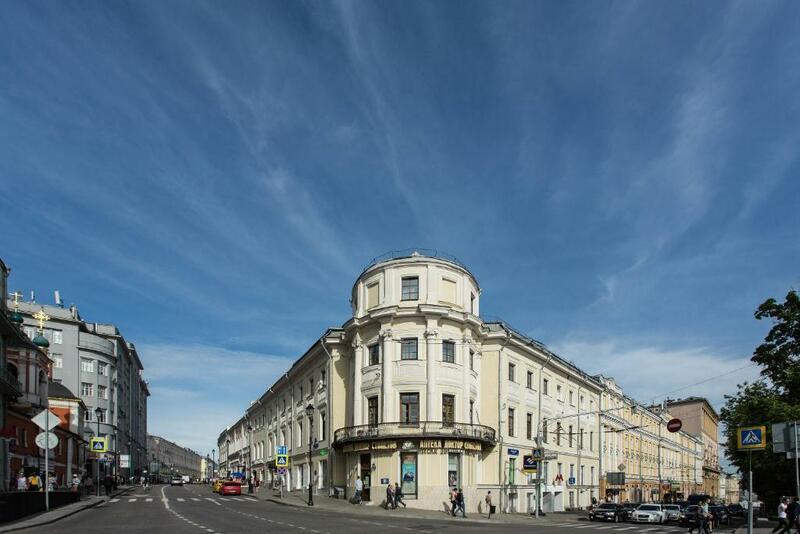 This property also has one of the top-rated locations in Moscow! Guests are happier about it compared to other properties in the area. When would you like to stay at Hotel Maroseyka 2/15? This double room features air conditioning, and tea/coffee facilities. This room features air conditioning, tea/coffee facilities. This room features air conditioning, and tea/coffee facilities. This air-conditioned apartment features a sofa, tea/coffee facilities, kitchenware and seating area. Views of Maroseyka Street and the Church of Saint Nicholas are featured. This suite has a dining area, kitchenware and electric kettle. If you arrived to the capital for business trip or you're a tourist, who wish to be in the historical place of Moscow – the best place to stay you will not find. You can enjoy the beautiful view from Deluxe room to the dome of St. Basil's Cathedral, Gostiny Dvor, and the world-famous Moscow Kremlin. Hotel surroundings – This neighborhood is a great choice for travelers interested in walking, architecture and city walks – Check location Excellent location – show map Guests loved walking around the neighborhood! House Rules Hotel Maroseyka 2/15 takes special requests – add in the next step! Hotel Maroseyka 2&#47;15 accepts these cards and reserves the right to temporarily hold an amount prior to arrival. Hotel Maroseyka 2/15 accepts these cards and reserves the right to temporarily hold an amount prior to arrival. The water pressure was very low (we were at the top floor). The toiletries were of very low quality (thin towels, tear-away plastic bags of shampoo, etc.) No paper tissues in the room - easy to fix, eh? Fourth floor, no elevator - walking up and down with our suitcases was a bit annoying. The public areas were very warm (because of the glass roof, there is a very strong greenhouse effect). None of that was a "major" issue, though. No elevator but staff carry up luggage. Lots of stairs. Bad smells at the bathroom and paint smell. The location is really good. In the center of Moscow. The location is simply amazing for a sightseeing trip. Literally everything within walking distance. Rooms were cozy and very clean! 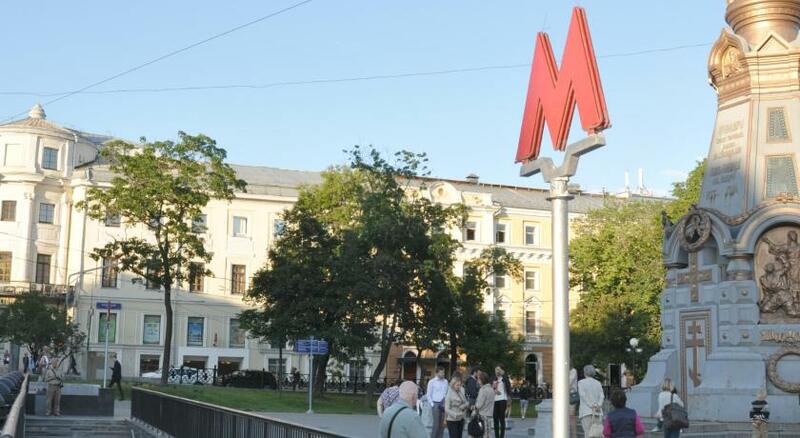 The place is near from the center of Moscow, and also metro station is close by. It was really comfortable for sightseeing. The Room was clean and big enough. Water is provided free. great value for money. clean, quiet, nice service and great neighborhood. The double bed felt like two single beds joined up - crevice in the middle. Room got quite hot at times overnight as heating seemed central, noisy street when we opened the window to cool the room down which was bizarre in winter! Would have been nice to have milk to go with tea. Excellent location, right next to metro station. Lovely soft pillows, spacious room, nice smelling premises, friendly staff and cleaning services.